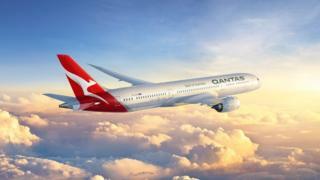 Qantas also plans to fly non-stop from Australia to North America - slightly shorter than the London-Sydney non-stop flight. If the non-stop flights - dubbed Project Sunrise - go ahead, Mr Joyce said the airline would also start offering non-stop flights to New York as well. Singapore Airlines will launch a non-stop flight in October from Singapore to Newark, New Jersey - a journey that will take nearly 19 hours.